I am going to the #MaryPoppinsReturnsEvent- Follow along! I can’t even begin to tell you how many times I have seen Mary Poppins, both as the original movie with my kids and also the Broadway version! I can’t even begin to tell you how many times we have sung “A Spoonful of Sugar” and “Supercalifragilisticexpialidocious” in the car. Mary Poppins ranks in my top 5 favorite Disney movies and that is why I am so excited to announce I will be heading to LA this coming Wednesday for the #MaryPoppinsReturnEvent. Once we arrive on Wednesday, we will be heading to a local Subway where we will learn about the new promotion they are having. For every ‘Subway Fresh Fit For Kids’ meal purchased, guests will get a free children’s movie ticket to see MARY POPPINS RETURNS. How neat?! At night we will get to screen the new Mary Poppins Returns at the Samuel Goldwyn Theater, which is the official “Academy” theater. After this, we will be able to have a MARY POPPINS RETURNS Q+A with cast and filmmakers. Man I can not wait?!! I am so excited to interview the cast/filmmakers but I am equally excited to see this movie, as I heard it was TERRIFIC by multiple people who have had the chance to screen it. We will arrive at the Montage hotel to start the incredible interviews. We will have a group interview with Ben Whishaw (“Michael Banks”) & Emily Mortimer (“Jane Banks”), Lin-Manuel Miranda (“Jack”), Director Rob Marshall, Emily Blunt (“Mary Poppins”), Songwriters Marc Shaiman & Scott Wittman ,Pixie Davies (“Anabel Banks”) & Joel Dawson (“Georgie Banks”). If you have any good questions, be sure to tweet me at dentistmel and I will try to ask. At night, it is time to walk the red carpet of Mary Poppins Returns at The Dolby Theatre. Then it is time for the after party with the stars of the movie! To say I am excited is a small understatement. Follow along because I will sharing a lot on my Instagram stories later that night. Then we will cap off the morning with some interactive holiday fun and the opportunity to celebrate 25 Days of Christmas by joining Disney|ABC Television in their goal to donate #25TonsofToys to Toys for Tots. This holiday season, Disney|ABC Television are teaming up with Disney store, ShopDisney.com and Toys for Tots. Fans and families can celebrate 25 Days of Christmas by dropping off a new, unwrapped toy at a U.S. Disney store or on shopDisney.com until December 15th and Disney store will contribute $5 per toy to Toys for Tots, up to $1 Million! Post a selfie with your toy on social media using the hashtag #25TonsOfToys! 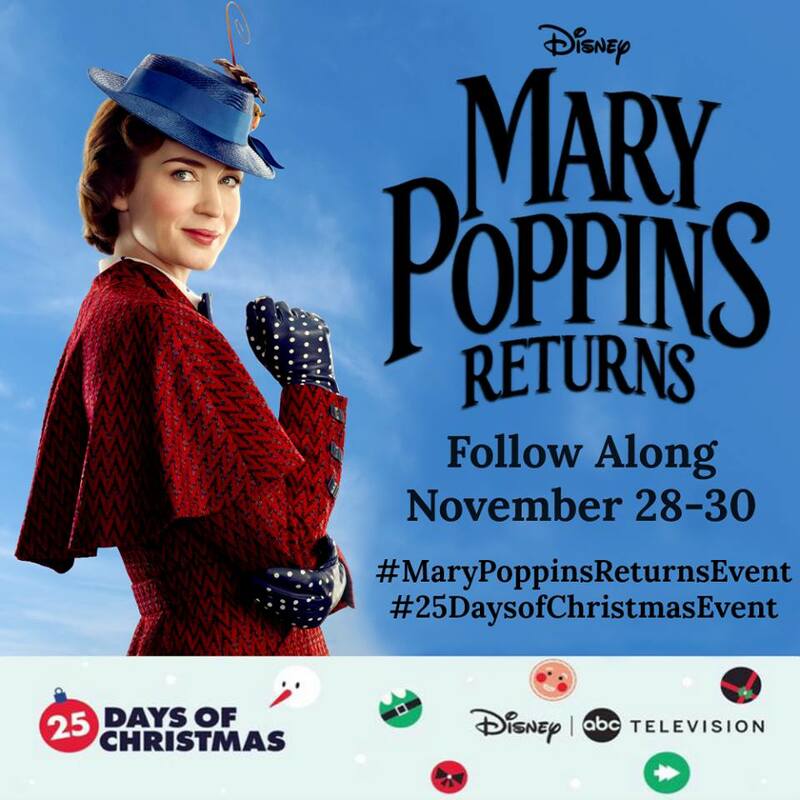 It is going to be a fun filled few days so be sure to follow along with myself, and the other 24 bloggers, with the hashtags #MaryPoppinsReturnsEvent and #25DaysofChristmasEvent. 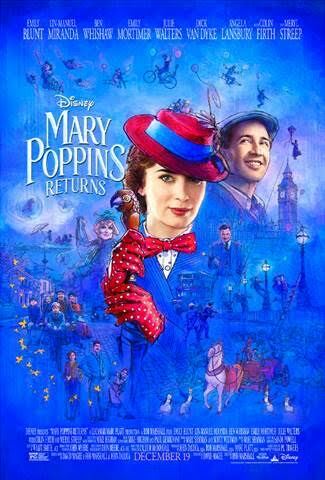 MARY POPPINS RETURNS OPENS IN THEATERS 12/19! Take the Guess out of a Child Being Sick with the OnCure App!